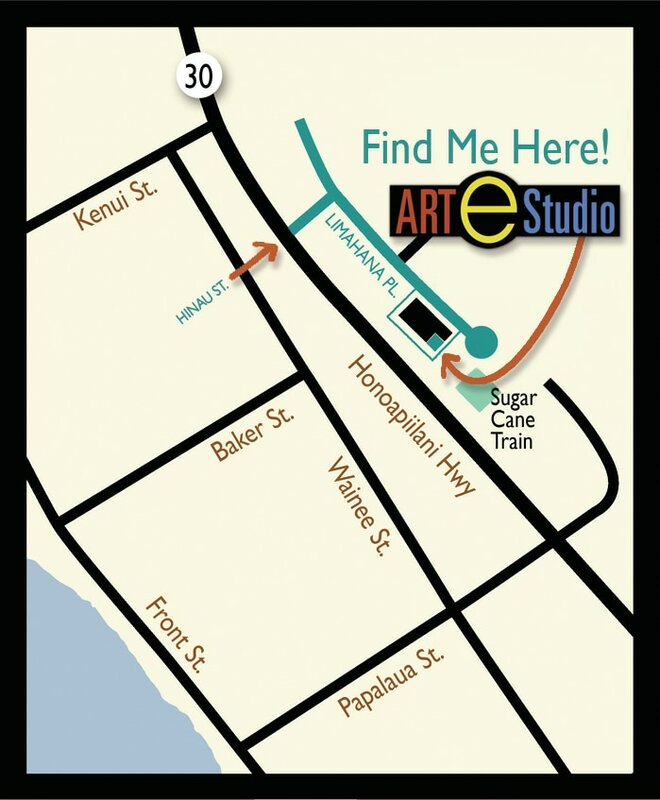 Art E Studio is located on the beautiful island of Maui, in Lahaina. It is a dedicated art school focusing on teaching children and adults the fine art of oil and acrylic painting. The instructor, Darice Machel McGuire, has over 40 years experience in fine arts. She leads her students through the basic process of creating a painting, helping each student achieve their goals and encouraging them to expand their skills by trying new techniques. One day painting workshops are available for visitors to Maui. Take a look at the Class schedule and Workshops located in the navigation bar to the left. You can view some of the students work in the "Workshop Gallery".